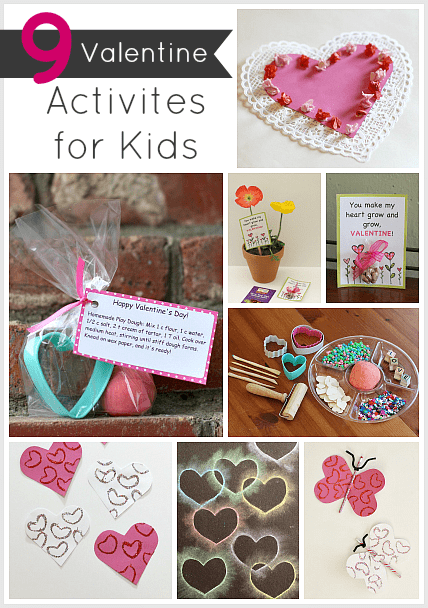 We have been having so much fun with valentine crafts for kids this year! 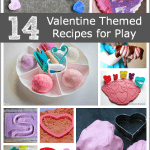 Keep on reading to discover 9 of our favorite valentine activities for kids from homemade valentines to sensory activities for toddlers! 2. 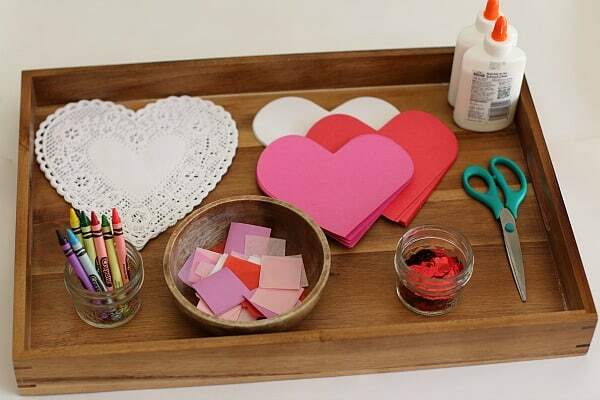 Invitation to Create Homemade Valentines: I placed some simple crafting materials out for the kids to use to create their own valentines! 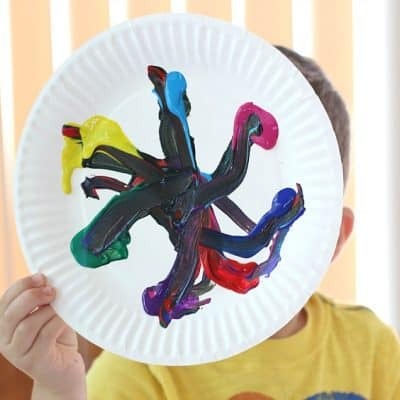 It was so fun watching how differently my 2 and 5 year old approached the activity. Both kids had tons of fun and were so proud of their creations! 3. 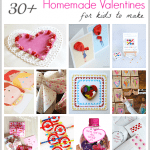 Valentine Themed Making Word Printable: Here’s a free valentine themed making words printable. 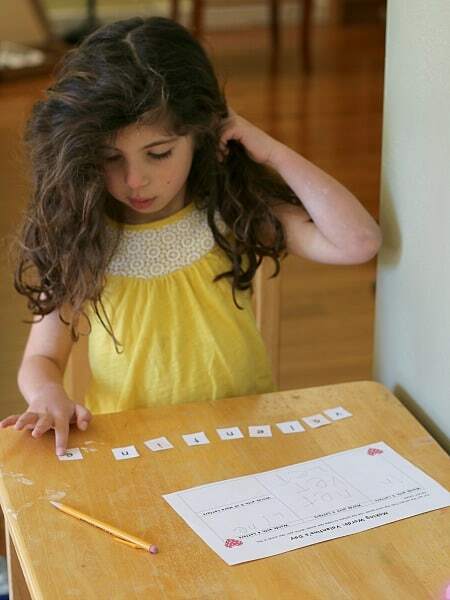 It’s perfect for kids learning to blend and segment words. 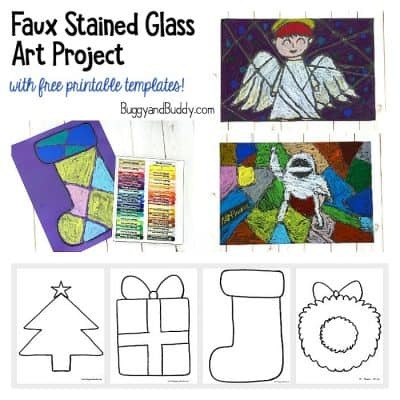 The post includes directions on various ways to use the printable with your child or class. 4. 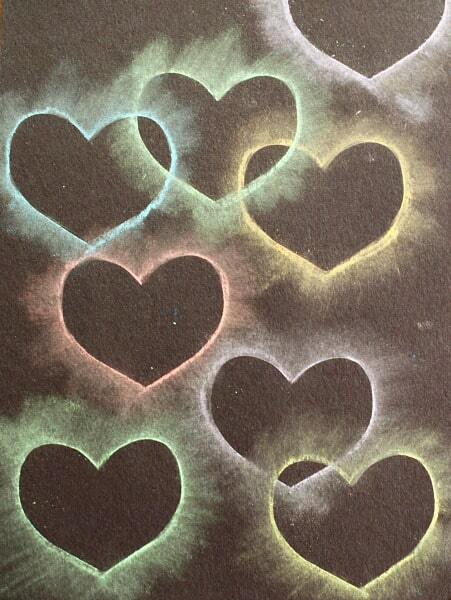 Chalk Stencil Heart Collage: Here is a really easy and fun heart craft using chalk. 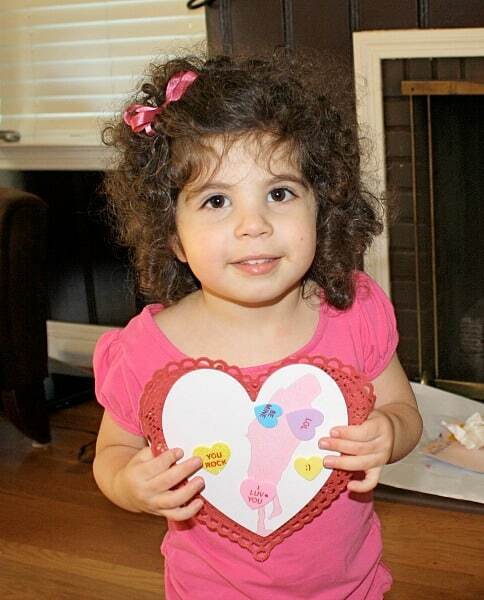 This was definitely one of my daughter’s favorite valentine crafts! 5. 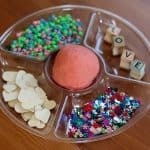 Plant and Seeds Homemade Valentine for Kids: Since there never seems to be a shortage of candy and sweets on Valentine’s Day, I’m always trying to come up with some candy-free valentine options. 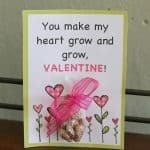 This valentine is centered around plants and seeds. 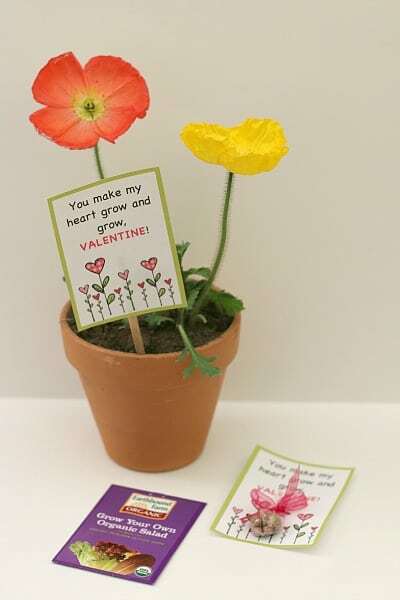 You can use the free printable valentine as a cute sign for a potted flower for your special teacher or add some seeds to the valentines to give to your classmates and friends. 6. 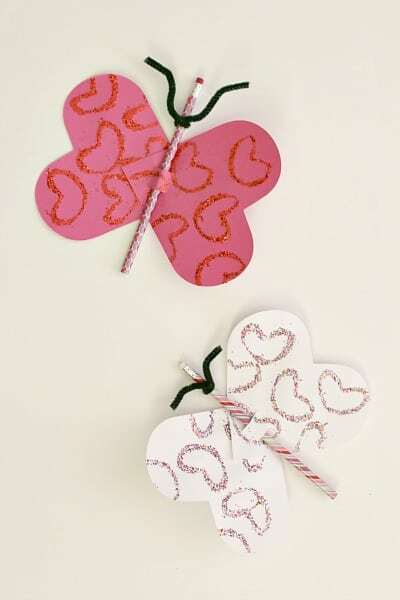 Butterfly Pencil Valentine: Here’s a fun valentine craft for kids that can also be used as a homemade valentine. 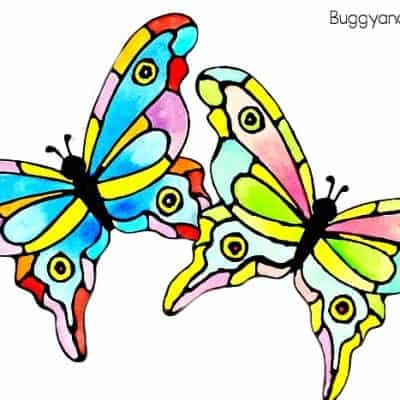 The post explains how to turn two hearts and a pencil into a beautiful butterfly! 7. 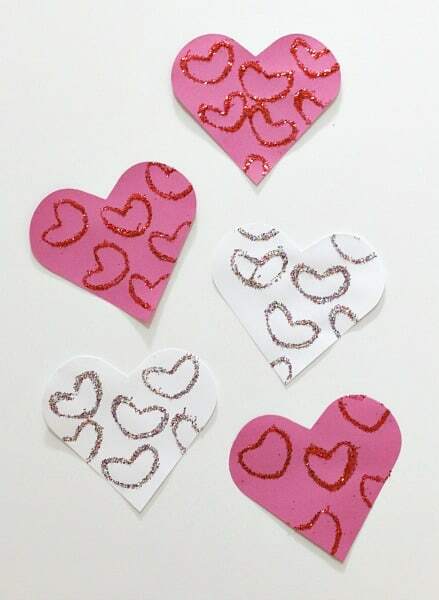 Stamping Glitter Hearts: My kids enjoyed using an old paper towel roll to stamp these glitter hearts! 8. 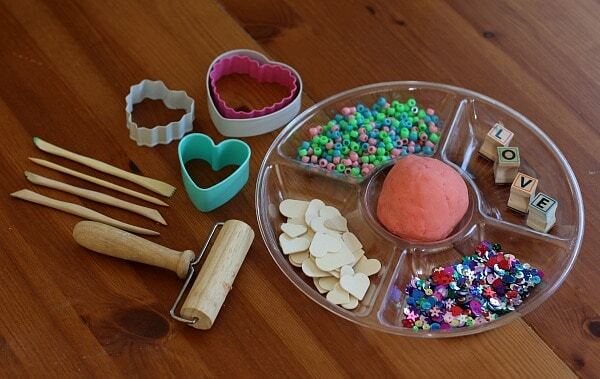 Homemade Playdough and Cookie Cutter Valentine: Here’s another candy-free valentine option using homemade playdough and a heart shaped cookie cutter. 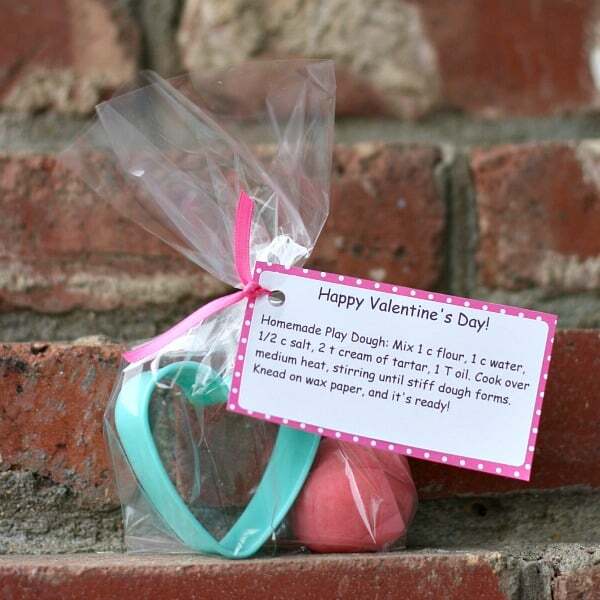 The free printable valentine even includes the playdough recipe! 9. 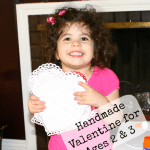 Handmade Valentines for Toddlers: This is one of my first valentine posts ! 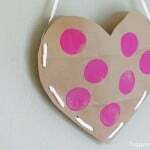 In it I share an easy homemade valentine that toddlers can pretty much do independently! I love the flower pot idea. 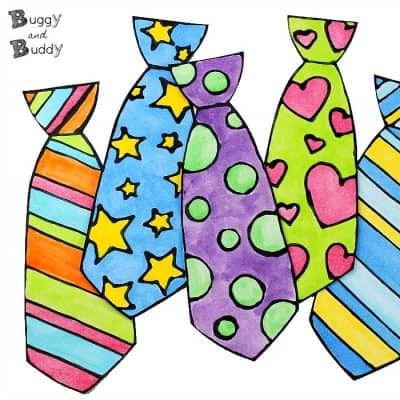 I really like the seed idea – might still do it as a special teacher gift this year! 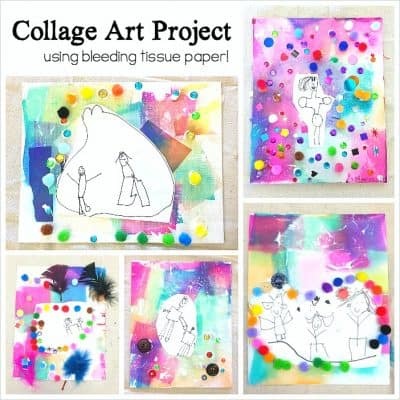 Thanks for sharing these fantastic ideas with Afterschool!